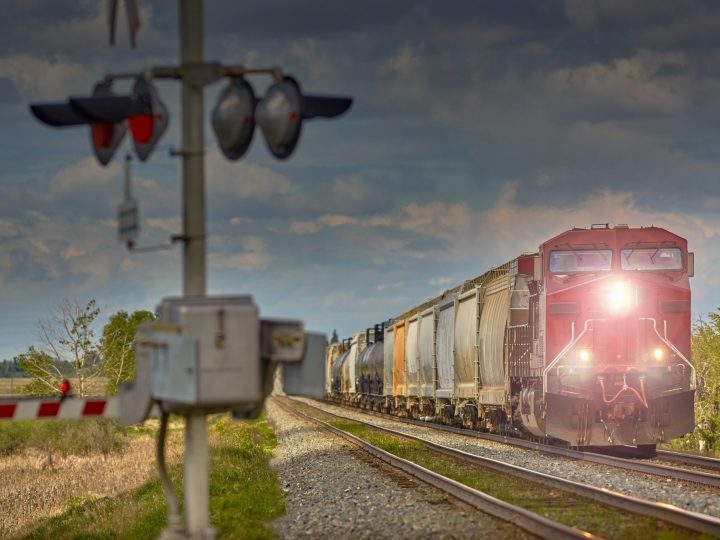 The uniqueness of setting infrastructure priorities that focus on multimodal connectivity and efficient freight movement helps support the traditional department of transportation infrastructure planning programs. 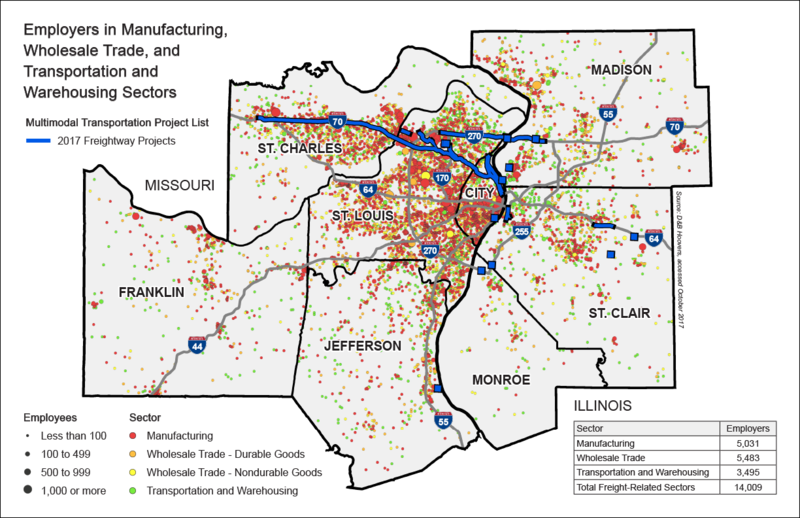 This process, incorporating the perspectives of private industry leaders from both sides of the river, Missouri Department of Transportation (MoDOT), Illinois Department of Transportation (IDOT) and the East-West Gateway Council of Governments, sets infrastructure priorities based on ways to reduce supply chain disruptions. 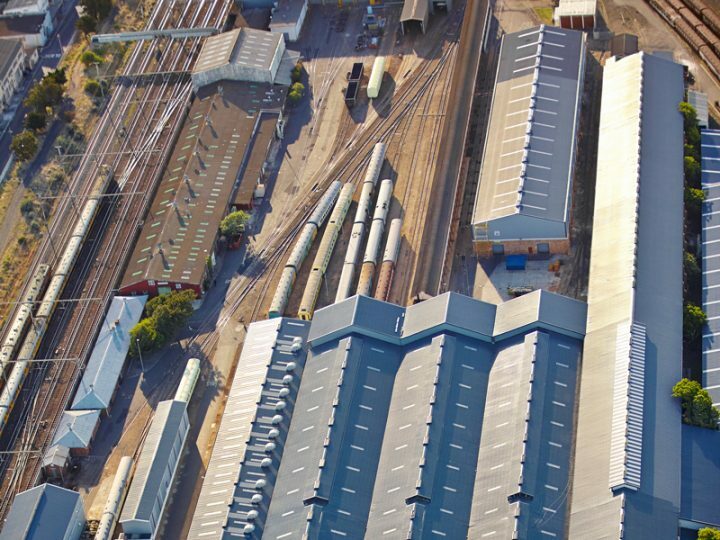 The dense cluster of manufacturing and logistics industries represent the region’s supply chain network of suppliers and manufactured products, transportation and warehouse services. 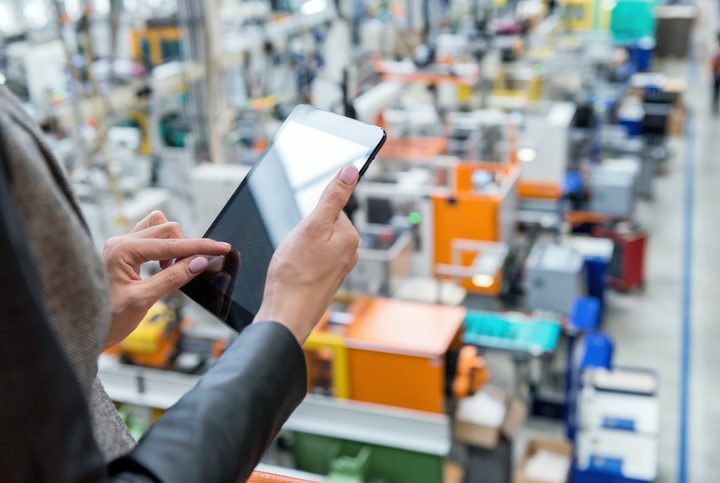 These businesses have a tremendous interdependency in the movement, handling and assembling of materials, parts and products within the bi-state region. 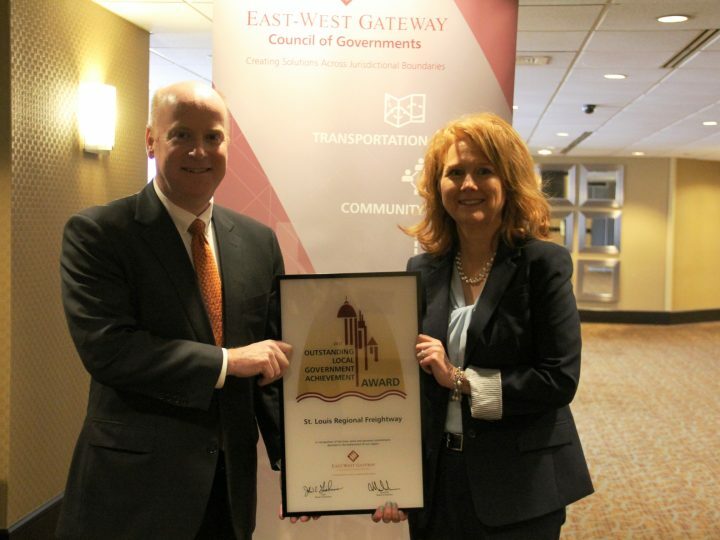 One of the region’s highest priority projects included on the 2017 Freightway Multimodal Project List is the I-270 corridor widening project from Lindbergh Boulevard in Missouri to IL Route 111 in Illinois. The $1.1 billion project, which includes the replacement of the I-270 Chain of Rocks Bridge over the Mississippi River, was discussed during the November 2017 Freightway Industry Forum, sponsored by America’s Central Port. 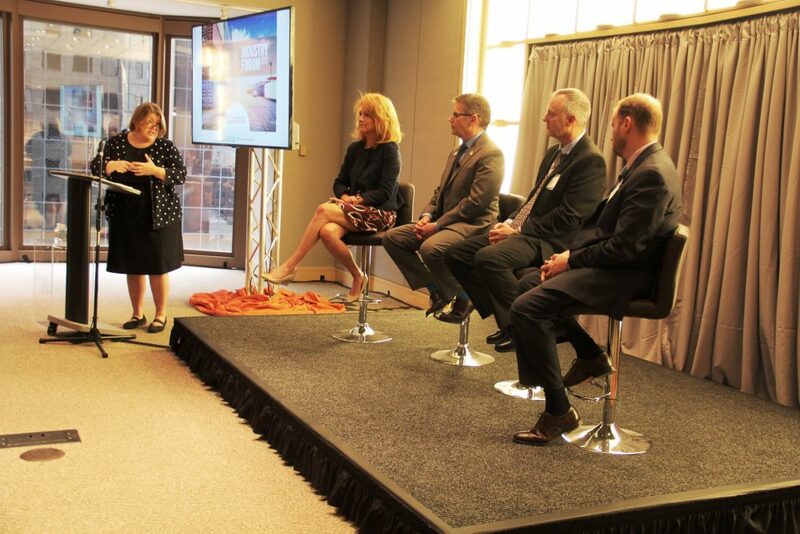 Forum Panelists included: IDOT Region 5 Engineer Jeff Keirn; MoDOT St. Louis District Engineer Tom Blair; Mary Lamie, Executive Director of St. Louis Regional Freightway; and Randell Gelzer, Jr., Senior Director, State & Local Central Region with Boeing. The audience, which included representatives of the private industry sector as well as elected officials, gained a better understanding of the impacts of anticipated supply chain disruptions if construction work is spread out over two decades. 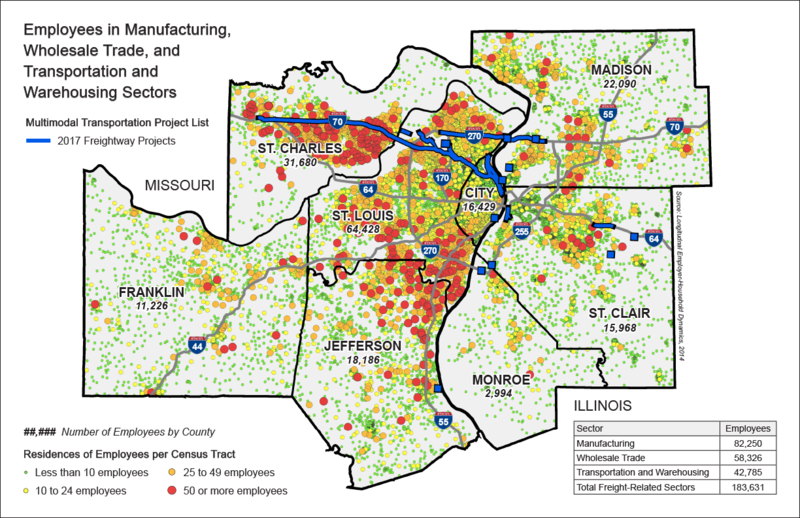 If the I-270 project is constructed over a 20-year time frame in 10 to 20 separate contracts, there will be supply disruptions that will have a significant impact on the St. Louis region’s network of suppliers as well as the industries’ competitiveness. Lane closures for maintenance while waiting for funding and improving the corridor in segments, over two decades, results in constant disruption to traffic with significant travel time delays, all of which negatively impact freight movement reliability and efficiency. Boeing employs 14,000 individuals in the St. Louis region alone and its economic impact is even more significant when you factor in its suppliers. Panelist Randell Gelzer, Jr. said the company paid $1.7 billion to 1,072 suppliers in Missouri and Illinois. Since 2006, Boeing has invested more than $524 million in site upgrades and infrastructure at its three regional facilities in St. Louis County and St. Charles County in Missouri and in St. Clair County in Illinois. Operations at these facilities include military aircraft and weapons systems production, 777X commercial aircraft production, the headquarters for Strike, Surveillance and Mobility, BDS Development and Phantom Works. He went on to explain the process of kitting, in which aircraft parts are delivered in kits for streamlined assembly on the production line, which reduces the need for maintaining inventory and expansive warehouse spaces. One example he used was the rudders for the new 777X, which are as wide as the entire span of an F/A 18 fighter jet. Boeing will be assembling and shipping about eight rudders a month. “If a kit doesn’t get here, there’s a tremendous impact on production,” Gelzer said. The Freightway recognizes both the short and long-term impacts of advancing critical multimodal projects that support industries like Boeing. Not only does the Freightway continue to advocate for funding to meet today’s needs, but the Freightway is working with industry leaders and elected officials to focus on the greater challenges and opportunities ahead as innovation and technology continue to impact the movement of goods in the coming years.